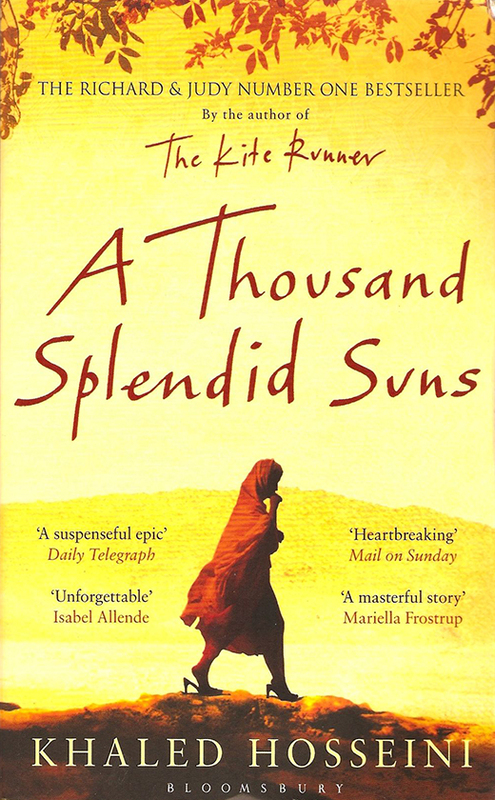 It's not hard to understand why the words "Classic" and "Best-seller" are often associated with Khaled Hosseini work, A Thousand Splendid Suns." What can I say of A Thousand Splendid Suns? It is beautiful, moving, and insightful. It gives me thirty years of Afghan history; not one of dates, times, and leaders, but of people, hopes and dreams, faith, love, loss, and life. Laila lay there and listened, wishing mammy would notice that she, Laila, hadn't become shaheed, that she was alive, here, in bed with her, that she had hopes and a future. But Laila knew that her future was no match for her brother's past. They had overshadowed her in life. They would obliterate her in death. Mammy was now the curator of their lives' museum and she, Lila, a mere visitor. A receptacle for their myths. The parchment on which Mammy meant to ink their legends. The beauty of his writing reveals the beauty and sad majesty of this book. 1. Hosseini delivers insights into life in Afghanistan: Hosseini puts meat on the bones of the words, "Mujahideen," Taliban, Kabul, Afghanistan. He gives color and context to a world many of us in the West do not know. 2. Hosseini portrays the strength of Afghan women: He helps us to see a woman with sorrows, disappointments, and dreams that have been ridiculed. Of one such woman he writes: "A women who will be like a rock in a riverbed, enduring without complaint, her grace not sullied but shaped by the turbulence that washes over her." 3. Hosseini helps us see "the person behind the veil" literally and metaphorically. There is always more going on than we see. 4. Hosseini reminds us grief is a staple in life, that it cannot be dodged, but that beauty and joy can rise out of it and despite it. 5. Hosseini shows us what love and self-sacrifice looks like and the extent to which such love propels us.